Mixing, Mingling, Polka and Sausage! 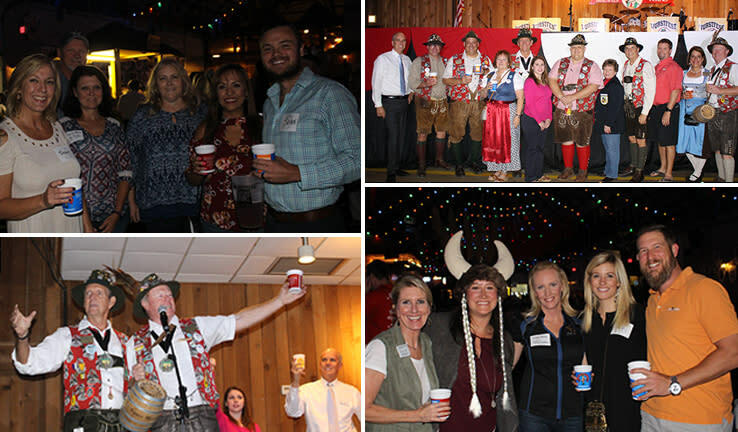 Last week’s November Membership Mixer was held at Wurstfest and more than 1,000 Chamber members came out to enjoy mixing and mingling with other members while enjoying all the festivities of the 10-Day Salute to Sausage. The Mystery Member was Rita Powell and the 10th person to shake her hand and earn the $10 bill was Tim Salge of Farmers Mutual Insurance Agency. The cash drawing was $50 and Joe Ciabattoni of Toolbox Studios was not there to claim his cash when his name was called. That means that cash will rollover to the next mixer where we’ll draw for $100. The December Membership Mixer will be held at JPMorgan Chase at 111 W San Antonio St. in downtown, on December 14, from 5:30 to 7:30 p.m. Don’t miss this chance to meet other Chamber members, network with business and community leaders, and make some new connections.